September bringing the BlackBerry Driftwood/Onyx to T-Mobile? BGR, along with CrackBerry, is passing along info it has received from two different sources concerning a new RIM device for T-Mobile. Is this the Blackberry Driftwood or Onyx? 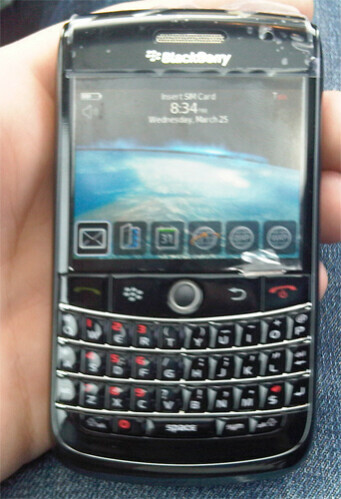 This BlackBerry is expected to be a 3G capable 8900-styled device with Wi-Fi, 3.2MP camera, optical trackpad (although the pictured prototype is using a trackball) and a 480X360 pixel resolution display. 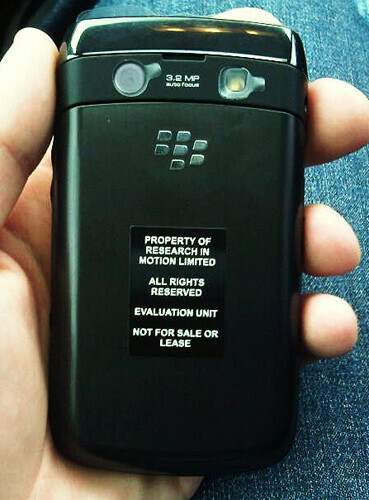 It seems that one source says it is the BlackBerry Onyx, while the other says it is the BlackBerry Driftwood. The answer might lie in a story we published in early April about the Onyx, the Driftwood and a third model called the BlackBerry Magnum, all three of which were thought to be on the way to the nation's fourth largest carrier. Based on the specs in that story, the Driftwood and the Onyx both seem good candidates, but the former supports UMA and the latter doesn't, which means that the odds favor the BlackBerry Driftwood being the model pictured below and heading for T-Mobile. wtf... how many versions of this phone is gonna come out???? and can cdma get some plz! I see this new device alike Onyx incoming to AT&T but for Driftwood should be incoming same time to T-mobile than i expect to get upgrade. I can wait to see post this month!